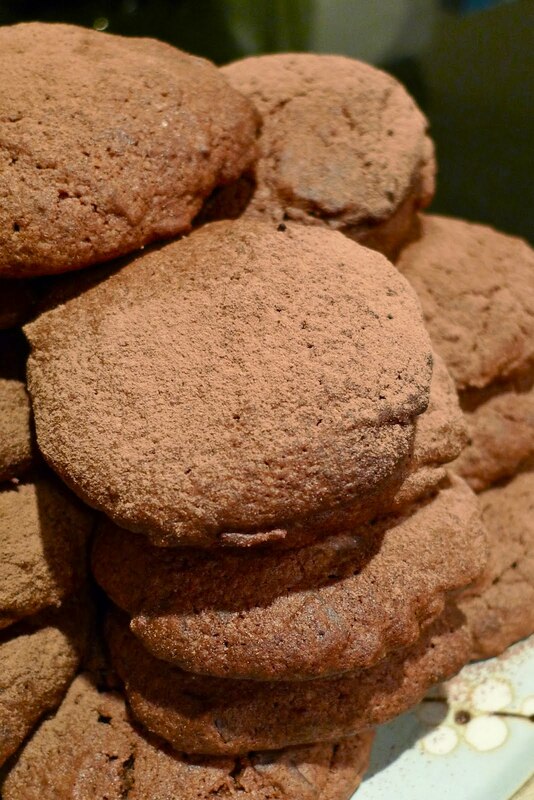 If you manage to fail when making these quick and easy chocolate cookies, there is a chance you have an underlying physical disorder you have not yet discovered. They are that easy. AND they will be ready in less than 30 minutes in just five simple steps. You can also substitute/add milk chocolate or white chocolate. All I had in the house was Lindt 80% cocoa dark chocolate, otherwise I would have mixed it up a bit more. Feel free to use chocolate buttons as well/instead. The more chocolate, the better. ❤ 1. Find a deep bowl and pour in both types of sugar and your softened butter. Beat it until light brown in colour and creamy. ❤ 2. Next, add the eggs and beat the mixture until combined. ❤ 3. Add both types of flour and the cocoa, followed by your chocolate of choice. Mix until combined. ❤ 4. Place large tablespoons of the mixture on a baking tray and press down so they resemble something similar to a circle. ❤ 5. Bake for 20 minutes at 150 degrees Celsius in a fan forced oven. And that's about it! All you need to do from here is remove the cookies from the oven when they are still a little bit soft, as they will continue to cook for a few minutes while cooling. If you care for presentation, sprinkle them with cocoa or icing sugar once they have cooled. These are great to whip up before going to someone's place for dinner or as a present. Alternatively, just make them for yourself! If you really feel like pigging out, spoon some ice cream onto the flat side of one of the cookies and place another on top as a lid. I was able to sample only one cookie after I made them. When I arrived home from work the following evening, they were gone!